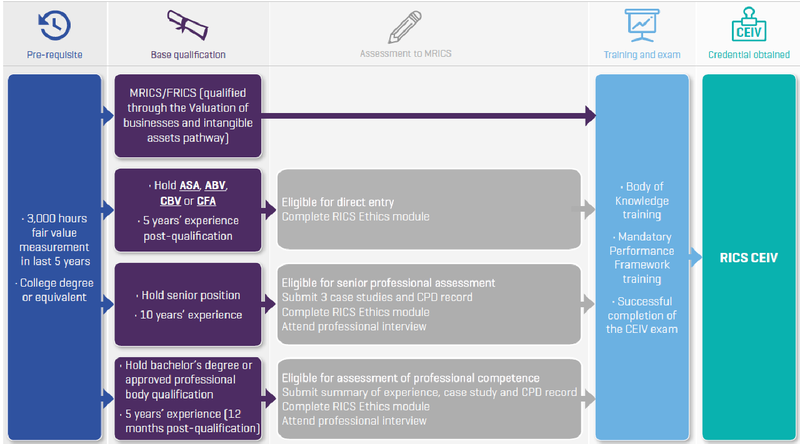 Get the CEIV Credential with RICS. Professionals must meet minimum professional experience, education and assessment requirements in the areas of valuation and fair value measurements to obtain the CEIV Credential. Fill out the below inquiry form to begin the enrolment process. How many years of relevant business valuation experience do you hold?